The BlackBerry KEYone Black Edition has been around since last August in various markets, and now it is finally available in the US. While the original came in February 2017 with 3 GB RAM and 32 GB internal storage, this version comes with 4 GB RAM and 64 GB internal storage. 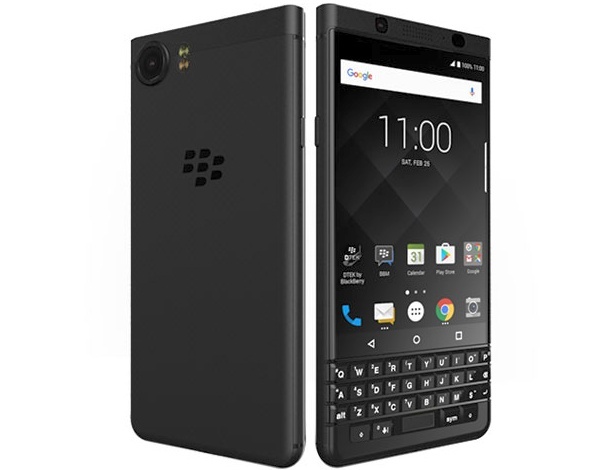 Fortunately, the price tag of this handset reads US$549, which is just US$50 higher than the price of the regular BlackBerry KEYone. Back in February 2017, BlackBerry released the KEYone smartphone, a handset that features the brand's traditional QWERTY keyboard. In August, the Black Edition arrived with more storage and memory: 4 GB RAM and 64 GB internal storage, up from the 3 GB RAM and 32 GB internal storage featured by the original. In addition to these improvements, the BlackBerry KEYone Black Edition also dropped the silver accents of its sibling and arrived in a full black finish. The BlackBerry KEYOne Black Edition has managed to reach many markets until now, including Europe, Asia, Latin America, and now the time has finally arrived for the US market to get it as well. Those interested can acquire it from Amazon and Best Buy, starting at US$549.99. In addition to the 4 GB of memory and 64 GB internal storage mentioned earlier, this unlocked handset also features a Qualcomm Snapdragon 625 processor, a 12 MP rear camera with autofocus and dual tone LED flash that features 1.55 micron pixels, a 3,505 mAh battery with Quick Charge 3.0 support, as well as Android 7.1 Nougat. As anyone can see above, there is nothing impressive at first sight, since these specs can now be found in many handsets priced below US$250. However, the BlackBerry KEYone Black Edition is less about the raw power and more about the user experience it can provide. To get a better idea about the advantages that this handset has to offer, feel free to check the videos below. At last, it would be nice to drop a comment about your feelings regarding the BlackBerry KEYone Black Edition. Do you think this phone is still worth its price right now, or the QWERTY keyboard is just a thing of the past that should disappear?